Hatteland Display has appointed Eva Svendsen Strand as its new Marketing Manager based at the company's Nedre Vats, Norway headquarters. Eva joins the leading maritime display and computer manufacturer following the internal promotion of Marketing Director Goetz Vogelmann, who as of January 2008 became VP of Business Development, working from the Hatteland Display GmbH office in Frankfurt, Germany. These appointments take place as Hatteland Display continues to invest in its manufacturing capabilities, product offering and organisational structure following the acquisition of the company by Ferd Private Equity Fund II on 27 March 2007. Recent changes include the addition of line manufacturing capabilities and advanced R&D and testing facilities in order to ensure the company's ability to deliver as the market leader in the field of marine displays and computers. Eva joins Hatteland Display following ten years in the electronics distribution business with Arrow Electronics UK and Nordic, and will initially be responsible for developing and implementing a new corporate and product branding plan and establishing vehicles for communication both internal and external. Eva's broad career in marketing also saw her perform a Product Manager's role at L'oreal Paris, where she was responsible for developing marketing campaigns for new and existing products. 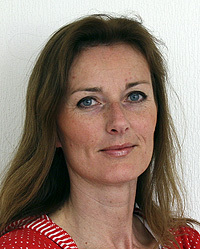 "I'm delighted to be working for an R&D driven company that is already in a very strong market position," comments Eva. "The branding challenges at Hatteland Display are particularly exciting and the company is facing impressive international marketing opportunities that I am looking forward to being a part of." New VP of Business Development, Goetz Vogelmann has been with Hatteland Display for six years, having joined the company after five years at LCD manufacturer Fujitsu Microelectronics Europe. His vast experience in the world of display technology manufacture, sales and marketing has helped Hatteland Display to maintain its position as a technology driven leading player in the marine and naval sectors. His new role will enable the company to focus on the growing opportunities in the industry, and specific geographical sectors. "There are a number of emerging and established markets that we will be concentrating on as part of our continuing plan of structured growth," says Goetz. "These include the Naval and yachting markets in addition to major shipbuilding regions such as Korea, China and Japan. This is an exciting time for Hatteland Display and these new appointments will enable us to better focus our marketing and business development activities."